Time doesn't march. Marching is regular, paced, predictable. Time isn't that accommodating of our need to apprehend it. It's erratic: indifferent and cruel at times, forgiving and patient at others. But either way, there's no stopping it, no matter if the walls we throw up are made of laughter or tears. It blasts through them all. Days and months and years slip through our fingers, and the best we can do is desperately cup our hands and hope that the bigger, more beautiful pieces won't fall through, too. That we'll walk away with a shiny, solid memory we can drop into our pocket, pull out on a rainy day, and put on the mantel like a trophy. This. I had this. People come crashing into our lives like lightning, or they float in like fog. They take up residence in our heads and hearts. They take our time and our energy. They take some of our life away from us. They help us die, a little bit. They stay for minutes or decades, but eventually, they all go. Sometimes they vanish so quickly they take the oxygen with them, and we're left gasping for breath, and reasons why. Sometimes they melt away imperceptibly, like a glacier drifting and cracking as summer sneaks in. And it hurts. If we're lucky, it hurts. If we're lucky, we get to say goodbye first. We get a hug. A kiss on the cheek. 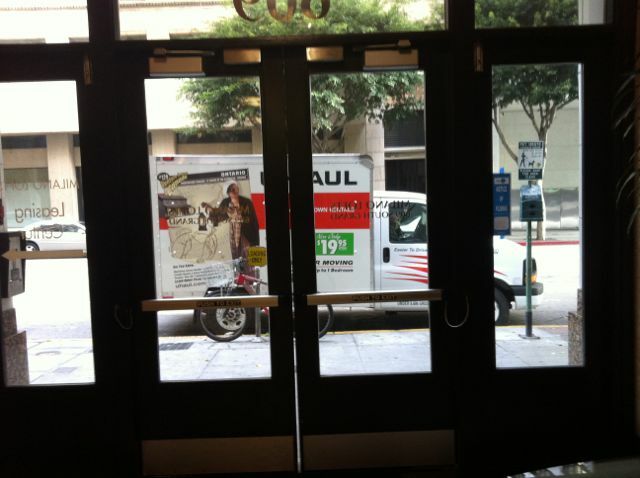 We get a laugh and a wave when we're caught taking a picture of a moving truck. If we're lucky, time was generous and moved slowly, and allowed us to steal from the calendar days and weeks so faceted with amazing moments and incredible dimension that they've become like diamonds in our palms. And even as our bodies crumble and our minds cloud, the truth of those diamonds will never change. We need only to hold them up to the light, to see them sparkle and glow again. I've been a thief. I've stolen so much. And I'm richer by far, for my crimes.